I just love to garden. When I was young, I helped my grandpa with his garden. He had me thin out the seedlings, weed the big garden and harvest the crops. I believe this is the basis for my love of growing produce for my family. He grew everything. Beans, tomatoes and squash are what I remember most. The first time I tried to garden was in containers when I lived in Bremerton WA. I didn’t have full sun really anywhere, but the back patio was the closest I could get. Didn’t have tons of luck with that. The next year I tried a small garden plot, but there wasn’t enough sun there for great results. Plus the slugs tried to eat everything. I did get one or two kohlrabi to grow. Years later, we moved to Olympia WA to a house that had a garden already set. It was AMAZING! There was a huge compost pile in the side yard, and a chicken coop that I could use to replenish the compost pile when I cleaned it. This backyard had pear and apple trees, a crab apple tree, horseradish, gooseberries, raspberries and blackberries. In two of the raised beds were asparagus and rhubarb. The rest were empty and ready for me to get busy. I was in heaven. 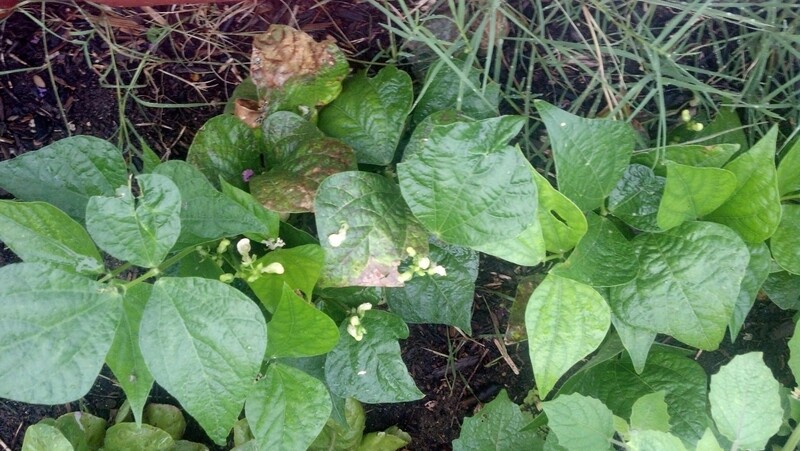 By the end of the three years I lived there, I had added blueberry bushes, and experienced bumper crops of peas, corn, squash, tomatoes, potatoes and beans. I struggled with brussels sprouts, melons and pumpkins, got a few onions and just couldn’t get carrots to grow. But I learned a TON about growing crops of many types. Trial and error baby. 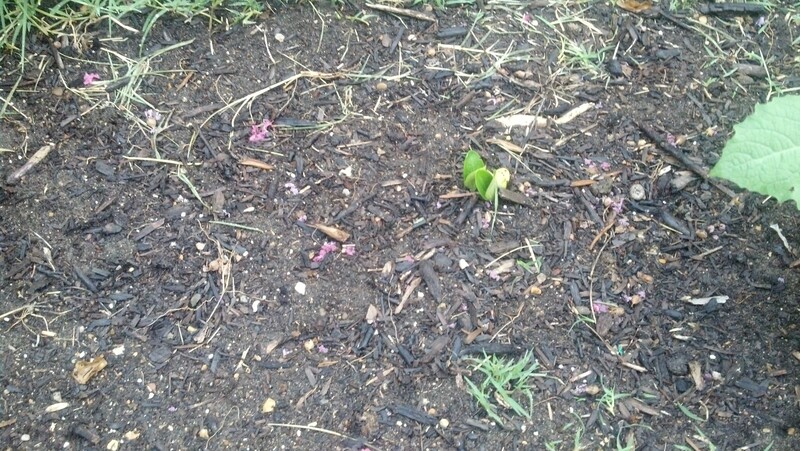 I retained my gardening books, so when I moved to TX I again felt the need to garden. With the immense amount of information available, I have come to trust what I can buy at the store less and less, so gardening to feed my family has become ever more important to me. 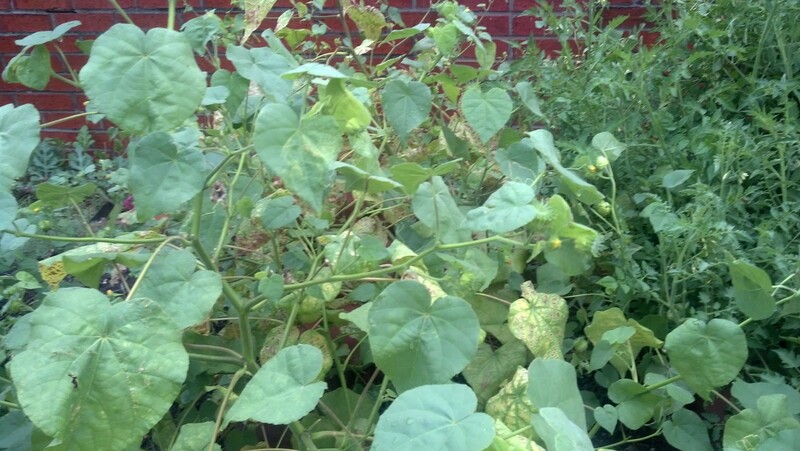 Over the past few years I have had various success: none with peas, some with lettuce, mixed results with tomatoes, good with asparagus and okra and squash and melons. Turns out kale and spinach are pretty easy, as are potatoes. I wasn’t sure they would be with the heat here, but spring and fall they all grow really well. This year I ordered all seeds from the Seed Savers Exchange. They carry organic heirloom seeds, so I know everything I plant has started even from the seed as organic and there has been no tampering with genetic makeup of what I’m eventually going to eat. We’re having a pretty cool summer, so I think that’s helping my tomatoes do well. 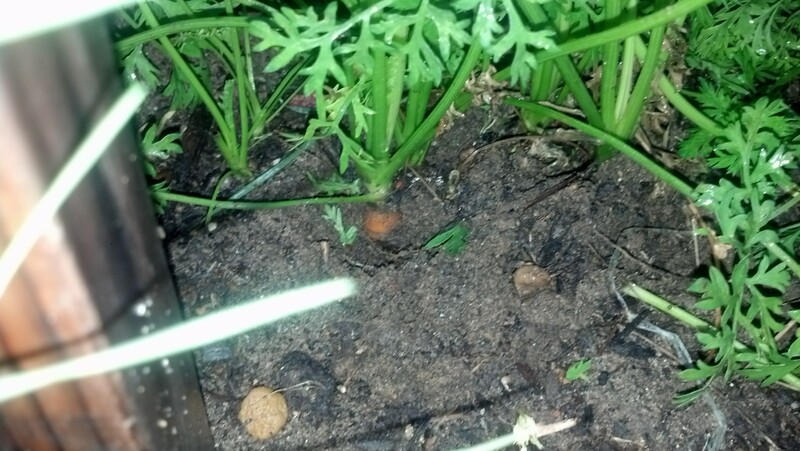 I also have carrots maturing, and had a great spring with my asparagus and radishes. Fortunately I had plenty more tomato plants in the garden bed! 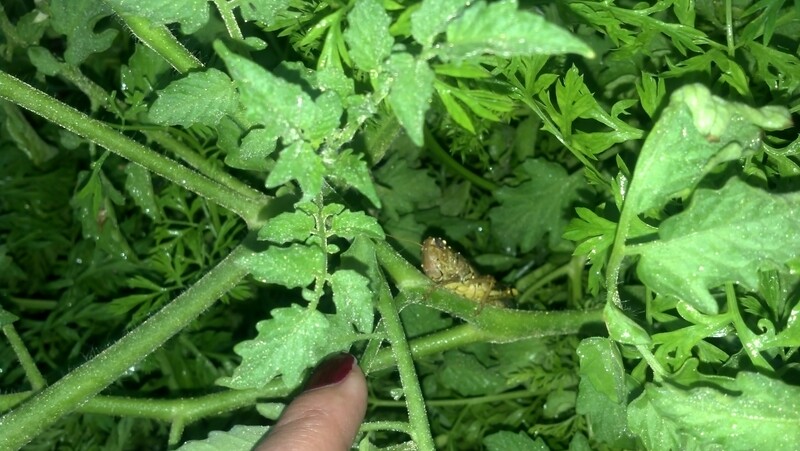 Can you see my visitor hanging out on a tomato branch? I found another one in the squash! 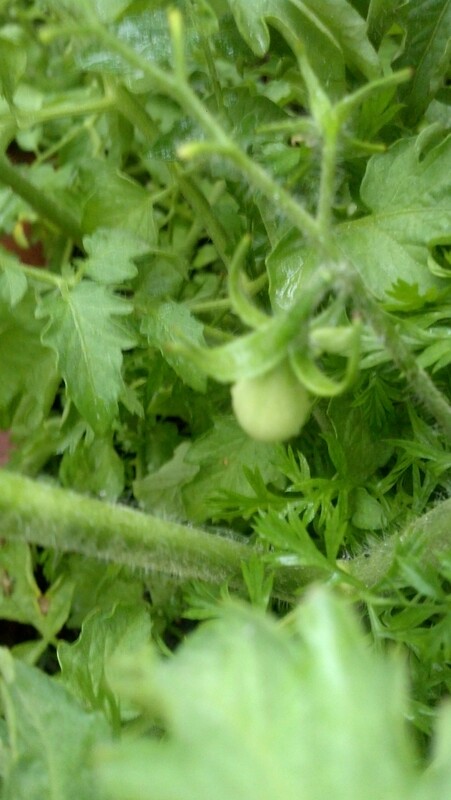 And my first tomato! It’s either a black cherry or a yellow pear. Guess I’ll find out when it ripens. 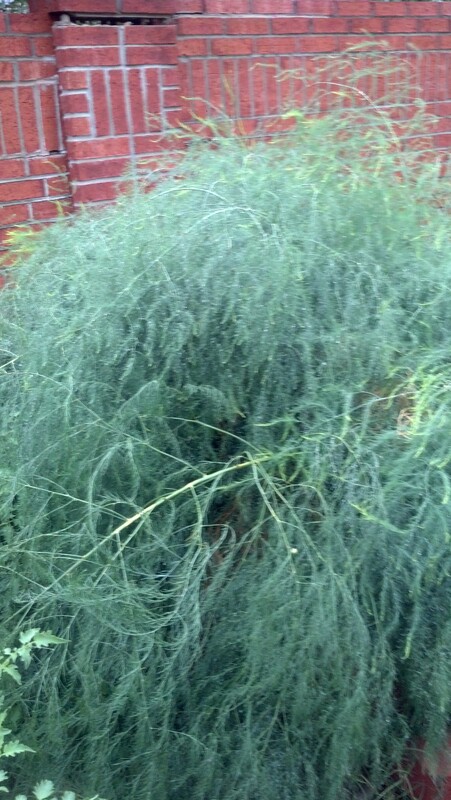 My asparagus is fronding out for the rest of the summer. 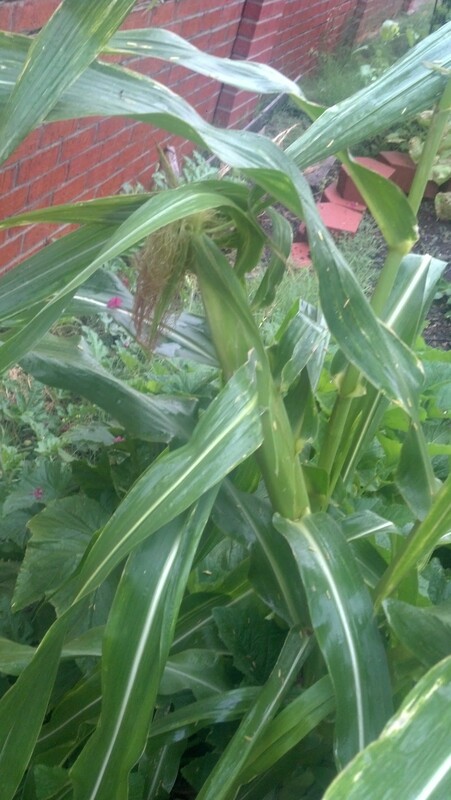 This will feed the corms and make them stronger for the following year. 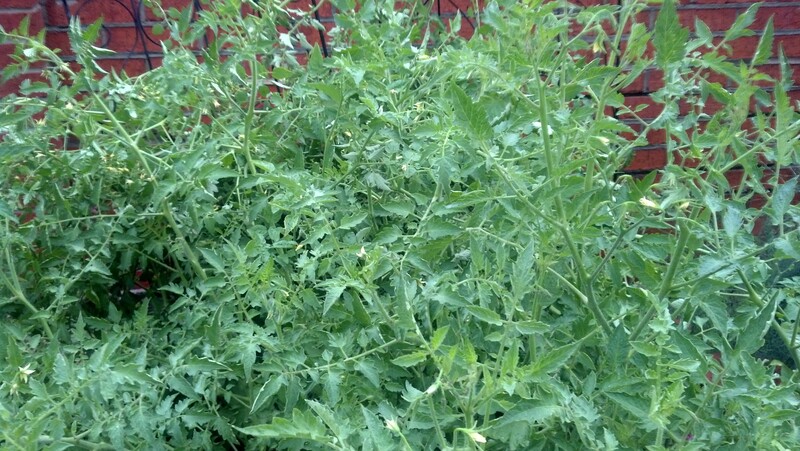 Looks pretty crazy, so I should have a bumper crop next year! I think I let my lettuce bolt, so it might be bitter. I’ll have to test it and if it is, I will leave it to flower and reseed itself. 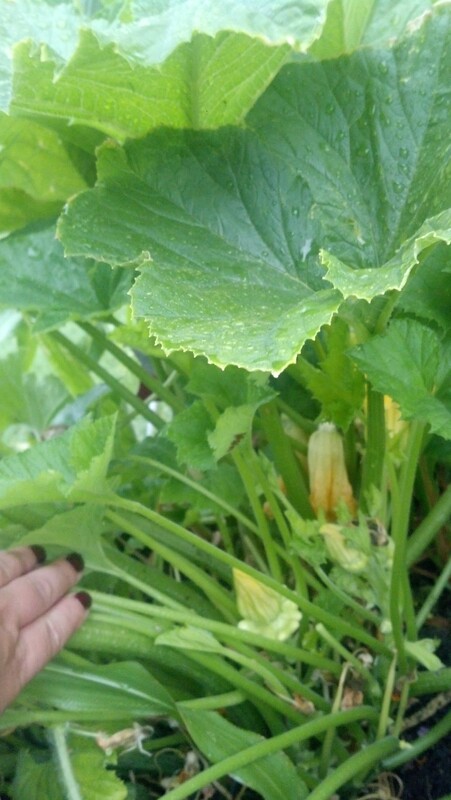 That is adjacent to my pattypan squash, which has grown profusely! Now this I’m a little perplexed about. 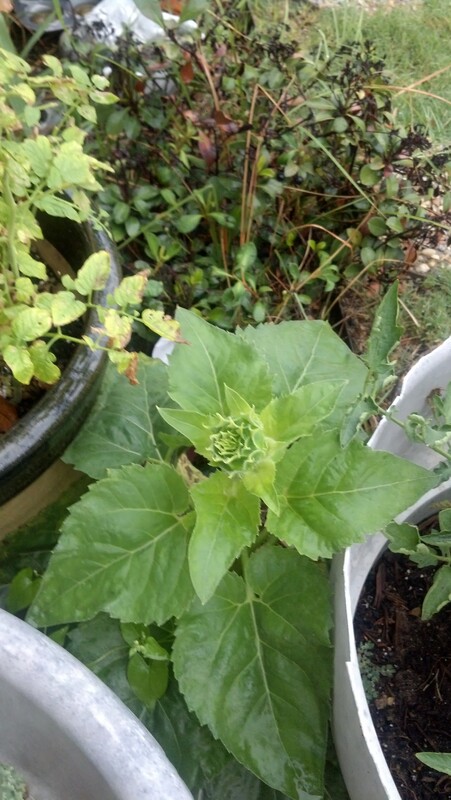 It looks like tomatillos, but I’ve never planted those before, so I’m not sure how it got here. Regardless I’m going to let it do it’s thing! 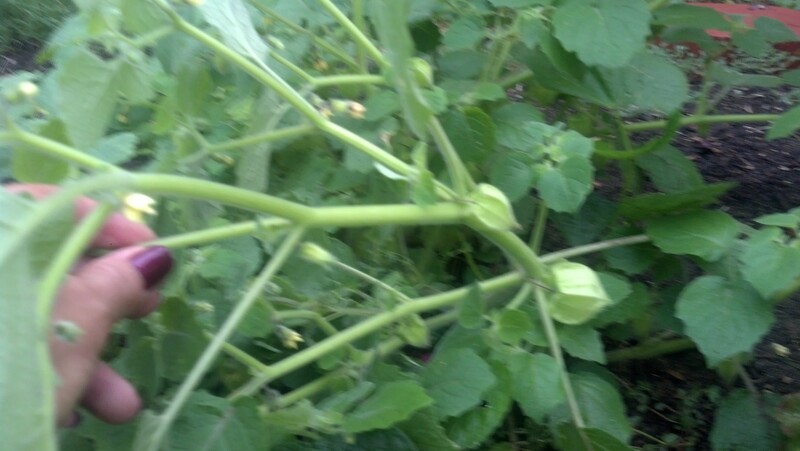 This here is Jenny Lind Melon vines. I didn’t plant them this year, but I think I let some melon rot in the garden or something because it reseeded itself! Yay! 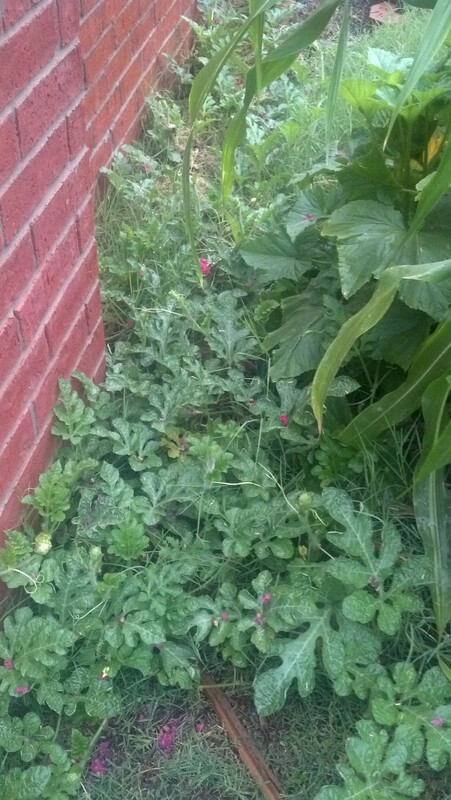 My okra did the same thing and it’s everywhere – even between the beds AND on the side of the house. Doesn’t look super healthy, but funny enough it looks the same on the side of the house where I don’t water it AT ALL as in the garden where I water it regularly. If it survives until we get some hot weather (it did this last year too, and blossomed when it got really hot), then I will be making TONS of pickled okra! 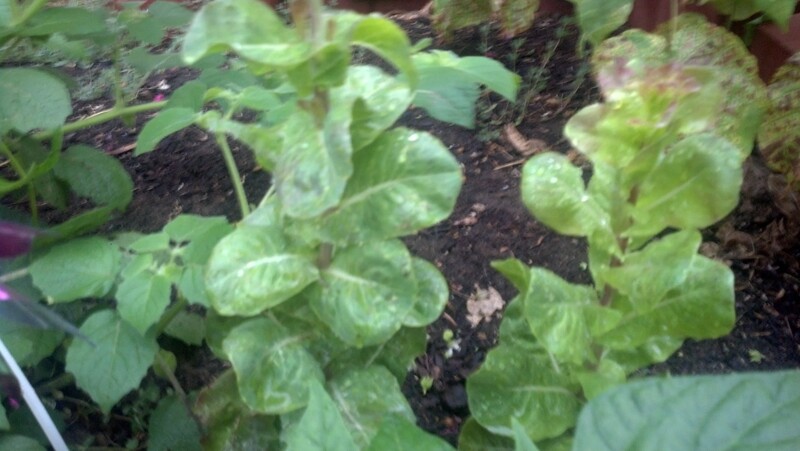 Come the cooler weather of fall, I’ll replant kale, spinach and maybe some red potatoes. 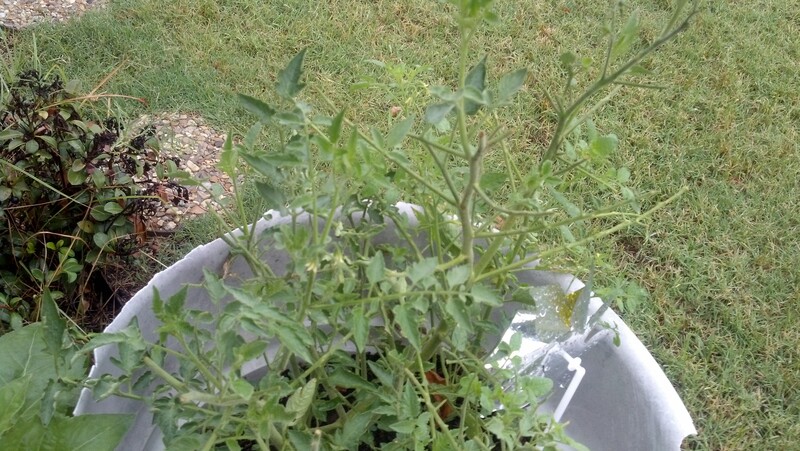 This entry was posted in garden, personal and tagged canning, garden, gardening, heirloom, inspiration, non gmo, organic.